When I first started blogging back in early 2010 dupes simply weren't a thing. The abbreviation possibly got uttered a few years later but for a long time it was more about finding cheaper alternatives to higher-end products - the keyword being alternatives! Fast forward five years and beauty dupes are more mainstream than anyone could have imagined, allowing bargain shoppers like myself the freedom to experience high-end makeup and skincare at has prices. 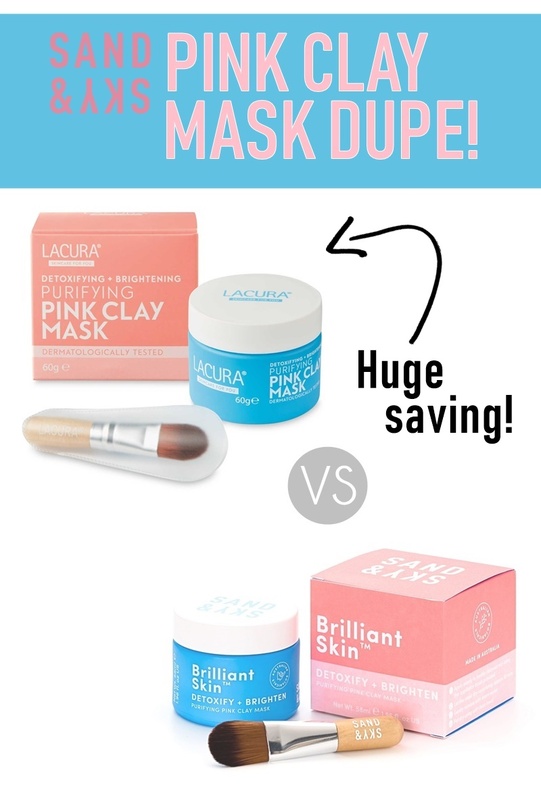 And while I still don't know where I sit when it comes to brands copying packaging to grab the attention of their own customers, on the whole I absolutely love a good dupe! Rambling aside, this is why I wanted to give a heads up on two new skin care dupes that are about to drop that I just know will be a huge deal to UK skincare lovers! Yes, Aldi have done it again, duping both Pixi Glow Tonic (£18) and Sand & Sky Brilliant Skin Purifying Pink Clay Mask (£40) with two Specialbuys costing only £3.99 and £5.99, respectively. Find out the product details and when you can get your hands on these likely-to-sell-out skincare dupes below! 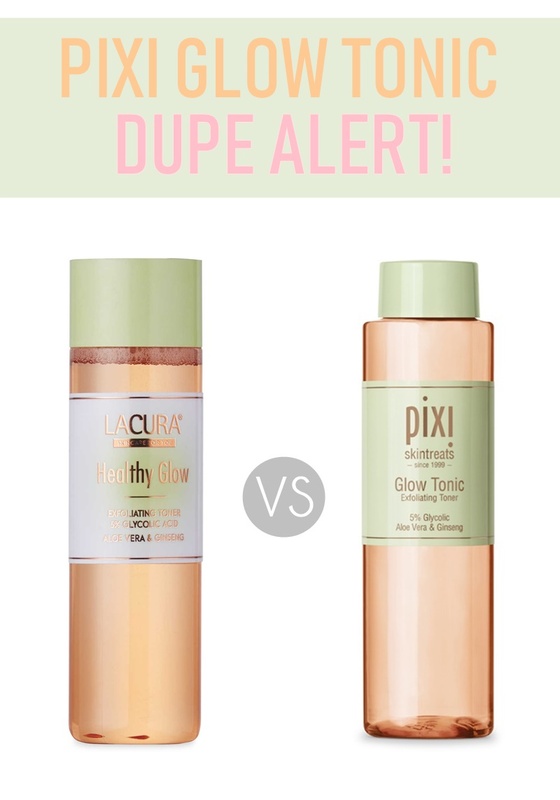 First up, in-store at Aldi from 27th September, we have a very exciting dupe for Pixi Glow Tonic; a total cult classic and skincare favourite for many. Sporting extremely similar packaging, along with a 5% Glycolic acid content I have high hopes for this budget exfoliating toner that gives an impressive £14 saving. 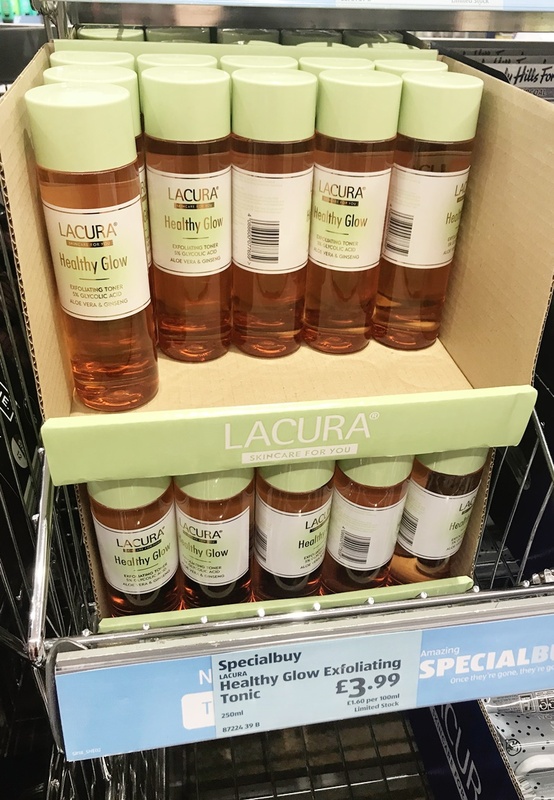 Much like Pixi Glow Tonic, Lacura Glycolic Healthy Glow Tonic, aims to brighten and smooth the skin with gentle exfoliation, sloughing away dead skin cells with no physical particles. Definitely a step you want to include in your autumn/winter skincare routine! Having tried and loved Pixi Glow Tonic as well as other Glycolic solutions I'm extremely keen to see how this Aldi alternative will fair - I have a feeling it will be very similar. So as soon as I get my mitts on it and try it out I will be letting you know. Although for only £4 I'm sure a lot of Pixi fans and AHA lovers will be trying it out for themselves right away. This is an Aldi Specialbuy so if you're as excited as I am I would plan a special supermarket trip on Thursday! 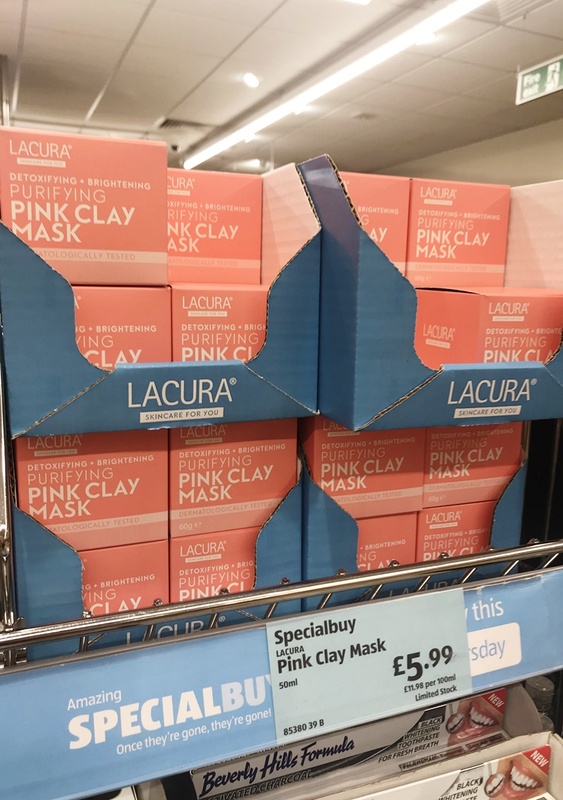 Another new addition to the Lacura range, also launching 27th September as a Specialbuy, is a unique Pink Clay Mask that looks oh so similar to Sand & Sky Purifying Pink Clay Mask. Sand & Sky's face mask is something I've loved for the past year, it's amazing for oily/clogged pores, however with a price point of £40 it's definitely a product that's outside of most people's budget so I'm really excited for this launch with an amazing £34 saving! I'm also pretty certain the Sand & Sky face mask has never been duped before! Again I have such high hopes for this skincare dupe (I mean it even comes with a similar looking brush!) especially as Lacura have two amazing Glamglow dupes under their belt already (I've raved about them here & here!) that really are impressive. So this is another product I will be picking up and comparing to the 'real thing' in an upcoming post. 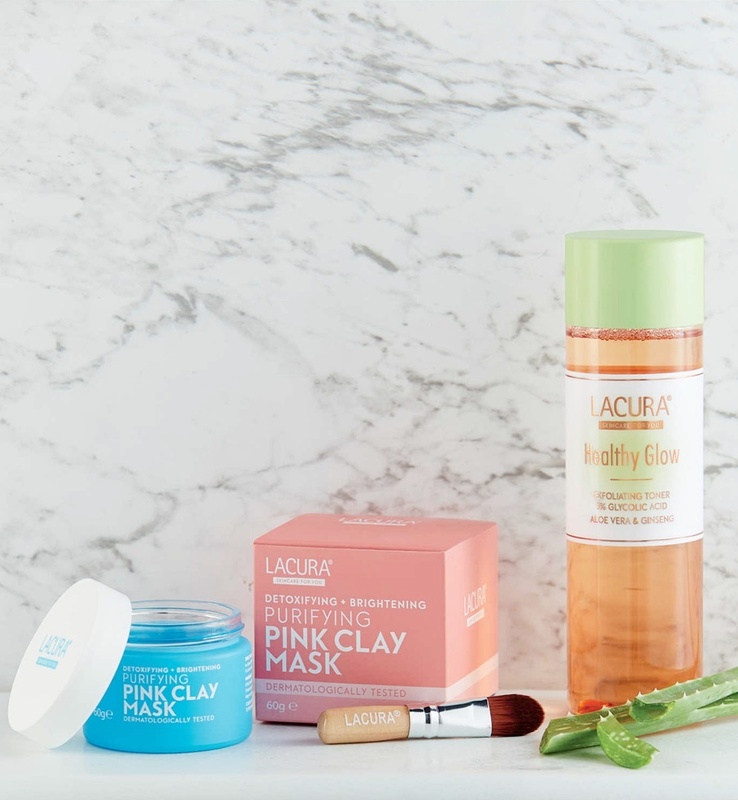 Side note - Lacura's sell-out Charcoal skincare range will also be back in-store nationwide from 27th September including the Lacura Charcoal Clearing Mud Mask which is a Glamglow Supermud Mask dupe - see my review here! Let me know if you will be making a special visit to Aldi for these two amazing specialbuys. Reviews and comparisons to come as soon as possible!